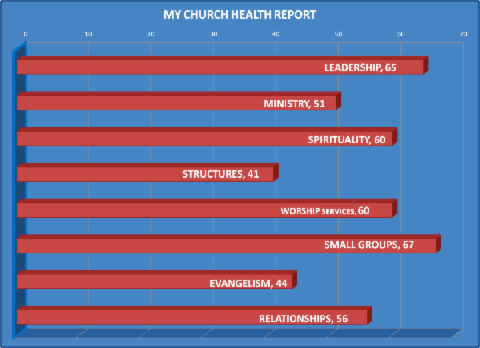 SPECIALS - Paraclete Consulting Group Inc.
How does your church rate on these key indicators? Paraclete Consulting Group will administer the survey to the pastor and 29 leaders. Once the survey has been compiled, PCG will meet with the leaders to share results and discuss its implications. For a free consultation to explain how the survey can lead to success and great health in the New Year, contact Leroy Divinity at 985-796-3142 or ldivinit@bellsouth.net. Over 40,000 churches in 70 countries have taken this survey. Churches who have taken the assessment more than three times have experienced a 51% increase in their annual growth rate. For example, if there had been 200 people per year joining the church previously, now there were 302.